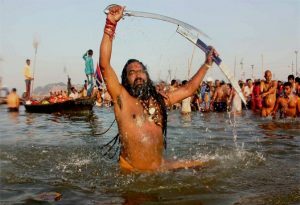 On the auspicious occasion of Kumbh Mela, millions of devotees perform the Kumbh Mela bathing ritual. It is the most important activity performed by several devotees on the banks of Triveni Sangam. 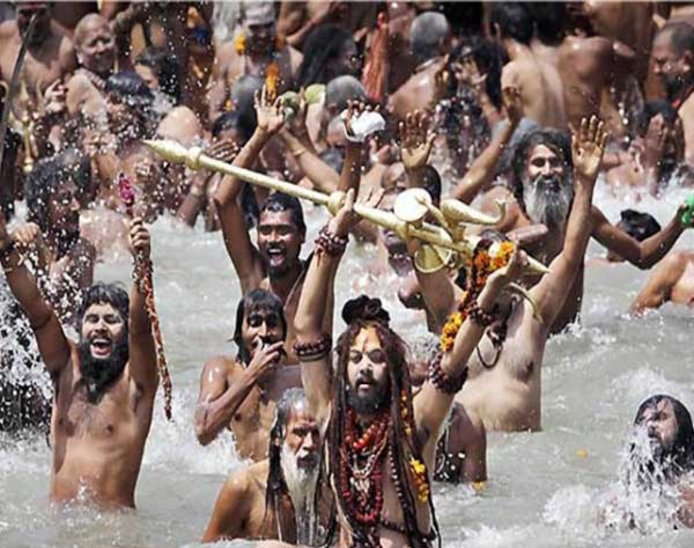 Performing the sacred Kumbh bathing ritual goes with the belief of getting rid of one’s sins. People believe that by submerging in the holy water makes them and their ancestors from the cycle of rebirth. 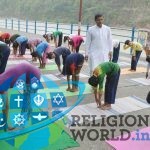 In short, it is the believable way to attain Moksha or Nirvana. Indian mythology is full of examples where people walked to river Ganga for the bath. This may be the case for multiple reasons one importance being that the healing power of the water. Water of Ganga is very rich in minerals and may be in olden days it helped cure several illnesses. It is said that following the churning of ocean by gods and demons, the pot of nectar emerged. There was a stiff fight between both the parties to grab the pot. Meanwhile to safeguard the pot, Garuda, the celestial eagle transported the pot of nectar. On the way, the nectar dropped in four places including Haridwar, Allahabad, Nashik and Ujjain. The event of Shahi Snan is said to give the blessed characteristics of the holy rivers in these places due to acquiring the nectar of immortality to those who bathe during the scheduled time. The Rajayogi Snan or the Shahi Snan commences on the appointed date at 4am. Before the scheduled time, there goes a long procession of saints and their disciples from various ascetic orders and Akhadas. The participants carry different kinds of deadly weapons in their hands and shout the divine names and religious slogans in ecstasy. For a Shahi snan, the Ascetics and Saints of the Akhadas take out a weapon-wielding procession which is ﬂanked by huge crowds. During ancient times, the saints in the Akhadas had to resort to killing as part of their mission to protect Dharma. Therefore, they wished to cleanse themselves of their sins through a holy dip in the River Kshipra during the Khumb Mela. Therefore during the event of Shahi Snan, the ascetics were given priority and importance over the others and common people. This tradition continues to this day. Shahi snan is the central highlight of Khumb Mela and the most important part of the celebrations. Only after the Shahi Snan, the common people are allowed to take bath. The locals decorate the route of the procession with rangolis and petals well in advance. 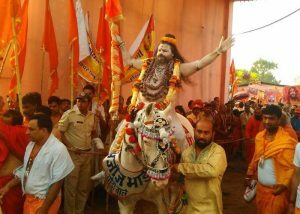 One by one, the Akhadas consisting of their Saints and disciples proceed on the route towards the place of the Rajyogi snan (Shahi snan) with magniﬁcence along with paraphernalia such as elephants, camels, horses etc. amidst playing of music. Some Swamis sit on elephants and some on chariots made of tractor-trolleys. Their disciples hold decorated umbrellas over their heads and the devotees shower ﬂowers on them. Various musical instruments such as dhol, tasha, nagare etc. 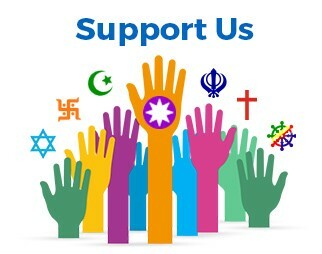 are sounded and slogans such as ‘Har Har Shankar, Gauri Shankar, Har Har Mahadev |’, and ‘Jai Gangamaiyya ki jai |’ rent the air. The procession is a strange scene to watch for those who are new. 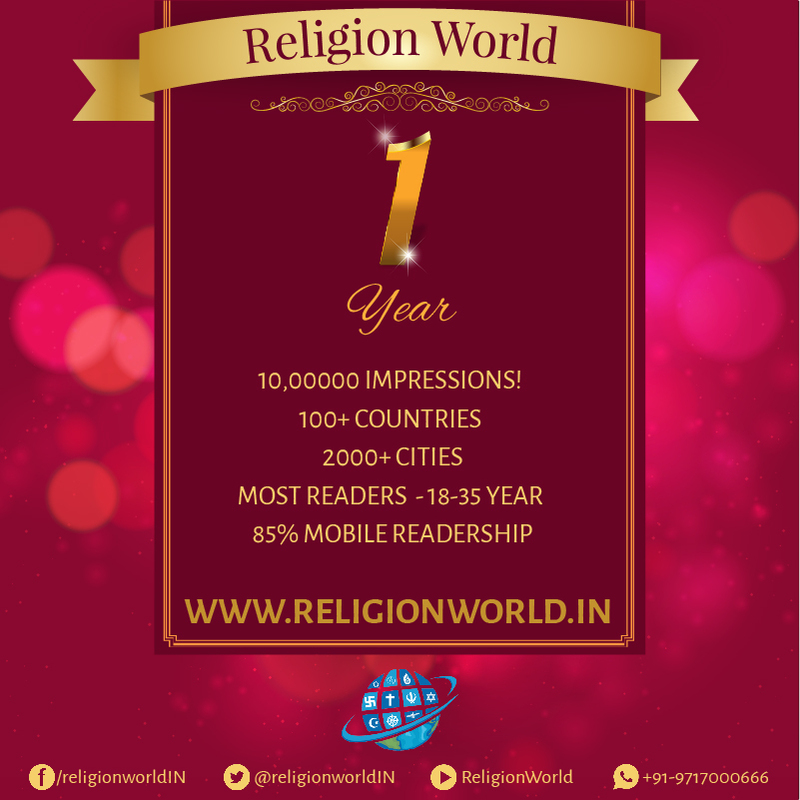 Thousands of ascetics are seen walking naked or with bare minimum clothing as per their choice. They too wear garlands and hold shining swords in their hands besides flags and other kinds of weapons. Some hold conches and dumbbell shaped musical instruments. Their bodies are smeared with the holy ash and their looks are often terrific causing fear. The royal procession of Sages and Saints taken out on the occasion of the Holy bath is like a procession of Divine attributes such as Tapa (Penance), Dnyan (Knowledge), Vairagya (Renunciation) etc. After a Holy bath, the procession of Ascetics and Saints have darshan of the temples in the vicinity and return to their place of residence. Till the Sadhus and the Saints return the devotees stand on both sides of the road, put up arches and ﬂags, and welcome the Ascetics and Saints in a traditional manner for their darshan. The tradition of welcoming the Ascetics and Saints after this Holy bath has been nurtured for many years. Makar Sankranti is celebrated when Sun enters Capricorn. 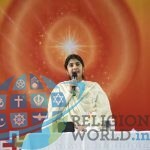 The day is considered holy among the Hindus. Shahi snan is organised on the day that is the highlight of Kumbh Mela and the most important part. It is only after this, people are allowed to take the holy bath in the Sangam. Paush Poornima marks the 15th day Shukla Paksh of the Hindu calendar month Paush. Pausha is a month of the Hindu calendar. The day marks the beginning of Kalpvasa. Hindus believe that it was on Mauni Amavasya, Rishabh Dev, who is considered as the first sage, broke his long vow of silence and bathed at Sangam of Ganga, Yamuna and Saraswati. 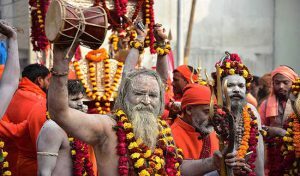 According to organisers, the maximum number of pilgrims are found on this day of the Kumbh Mela because the planetary positions are most favorable for bathing in the holy confluence. Basant Panchami is a Hindu festival. The day falls on the fifth day of Magh month. On this day, Hindus worship Goddess Saraswati. The day also marks the arrival of spring. On this day, Kalpavasis wear yellow clothes. Maghi Purnina is a full Moon day. 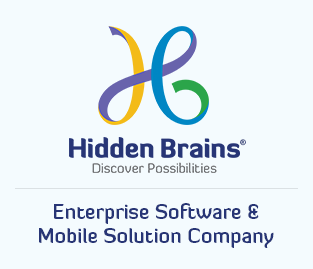 It occurs on the 15th day of Magh month of Hindi calendar. The day is linked to Guru Brahaspati. It is widely believed that god Gandharva had travelled from heaven to Sangam on this day. 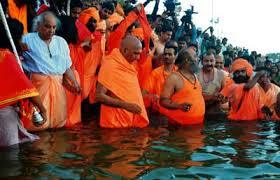 Hindus believe that they will be guided to heaven in their humanly form if they take a sacred dip in the Sangam water. 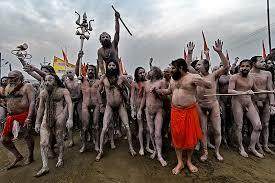 Mahashivratri marks the end of the Kumbh Mela. Mahashivratri is an important Hindu festival that is celebrated to honour God Shiv. Mahashivratri falls in the Krishna Paksha of Phalgun. As per Hindu mythology, this day is awaited in the heavens as well.